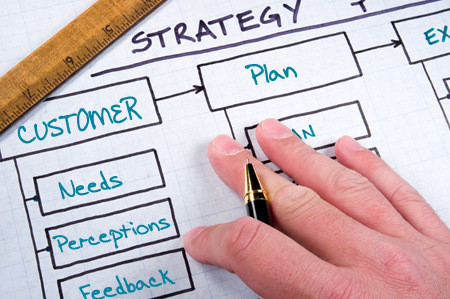 Lois Geller of Lois Geller Marketing Group talks about strategy as an element of business planning in Why Strategy Matters. “Whether our plans have a thousand pages or five pages, they start with the same four elements: Background,Objective, Strategy, Tactics. The Background is the answer to “Why are we doing this?” It contains every bit of information relevant to your task. The Objective is a simple statement. You can’t have more than one Objective. It answers the question “What are we trying to achieve?” It can’t be vague. It has to be as specific as you can make it. This frightens some people. 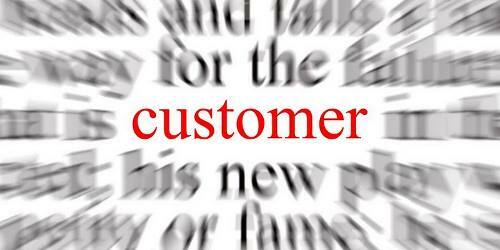 A lot of people have a hard time distinguishing between Strategy and Tactics. That’s partly because Tactics are fun and easy while Strategy is no fun and hard. In a previous post titled The “Odd New Thing”: Social Media, we talked about “what not to do”, when managing social media for your organization or brand. 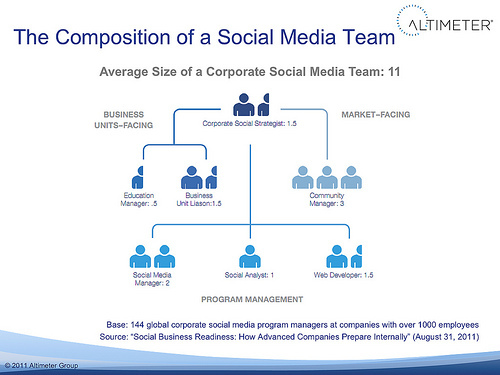 In Data: The Composition of a Corporate Social Media Team, Jeremiah Owyang, industry analyst and partner at Altimeter, tells us “how to do” as he analyzes results from Altimeter’s recent survey to 144 global national corporations with over 1000 employees to see how today’s corporate social media teams break down. 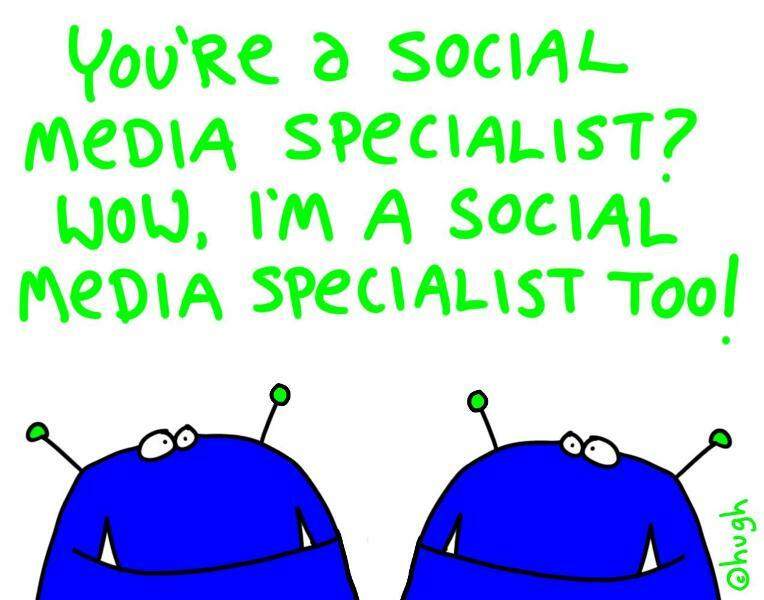 It turns out, the average size of a corporate social media team is ELEVEN people, excluding agencies, consultants and researchers.